The research of the Intelligent Simulation, Modelling and Networking Group has led to a more efficient use of transport infrastructure. Led by Dr Evtim Peytchev, The group investigates the use of wireless components and wireless communication devices. Their work has had an impact on transport systems throughout Europe, including Nottingham and Coventry in the UK, Gouda in the Netherlands, Leuven in Belgium and Sofia in Bulgaria. The team's achievements have influenced European-wide decision-making around traffic management. They are leading European research in car-to-car communication for traffic data gathering, traffic knowledge generation and traffic control. The widespread adoption of mobile phone technology led to the design of an SMS messaging service with a prototype implementation developed by NTU researchers. A Nottingham company, Infohub Ltd, developed the ideas to create a website for planning bus journeys. The product, based on combining the SMS service with journey planning software, won the innovation prize at the UK Bus Awards in 2005. In 2009, Infohub developed their flagship website Triptimes, an online tool for passengers to plan their bus journeys in the Greater Nottingham area. The next impact came from Dr Peytchev and his team creating new solutions for building a new generation of intelligent transportation systems.Their research was based on the use of wireless, mobile and pervasive networking. In 2011, the team was granted EU funding for MODUM (Models for Optimising Dynamic Urban Mobility), a collaborative project looking at new ways to reduce traffic congestion and minimise the environmental impact of traffic. Nottingham Traffic Control Centre (NTCC) and Coventry Traffic Control Centre (CTCC) implemented wireless systems in 2013 as a result of the team's research, and their current control is delivered through wireless devices mounted in traffic lights. As a result of the expertise gained through their research on intelligent transportation systems, members of the Unit's research groups have been invited to participate in the strategic planning processes for the following public bodies: The Big Wheel, the Greater Nottingham Transport Partnership and the NTCC Strategic Decision Board. This research looks at the employment of novel wireless and mobile communications technology in the field of transportation. In particular, it has found that these systems are more effective when they make use of peer-to-peer communications between vehicles and two-way communication with the control centre as opposed to traditional structures where roadside infrastructure devices send information to the centre. In 1993, a server was installed in the Nottingham Traffic Control Centre (NTCC) to collect online traffic control data and from 1996, traffic camera images were displayed on the NTCC website. The research into the use of wireless technologies in the intelligent transport system received its first major funding, the TSB Traffimatics project, in 2003. Through this, the team developed insights into the use of ad-hoc networking, mobile phone application solutions, mobile networking and between cars (peer-to-peer) communication for collaborative knowledge generation. The project provided a coherent telematics platform for the provision of low-cost telematics solutions to end-users. From 2008 to 2010, the research extended to telematics applications for public transport in Nottingham, resulting in insights into the use of Bluetooth applications on a mobile phone for indoor navigation. Dr Peytchev and his team formulated a new design of wireless communication architecture for intelligent transport systems in 2009-10. This was underpinned by the wireless networking research and reported in several keynote lectures and invited papers, illustrating the growing impact of the first suite of algorithms to cover the generation of traffic knowledge through collaborative and ad-hoc wireless frameworks. In 2011 the team received major EU funding for the transport networking project (MODUM – Models for Optimising Dynamic Urban Mobility). The research identified a new way of building simulation models which incorporate wireless communication traffic data gathering and generation in urban conditions algorithms, and the wireless peer-to-peer communication architecture reported in earlier work. It provided evaluation of the usefulness of the approach and its effectiveness for the real-time control of traffic in cities. The research results have been applied in five European cities. 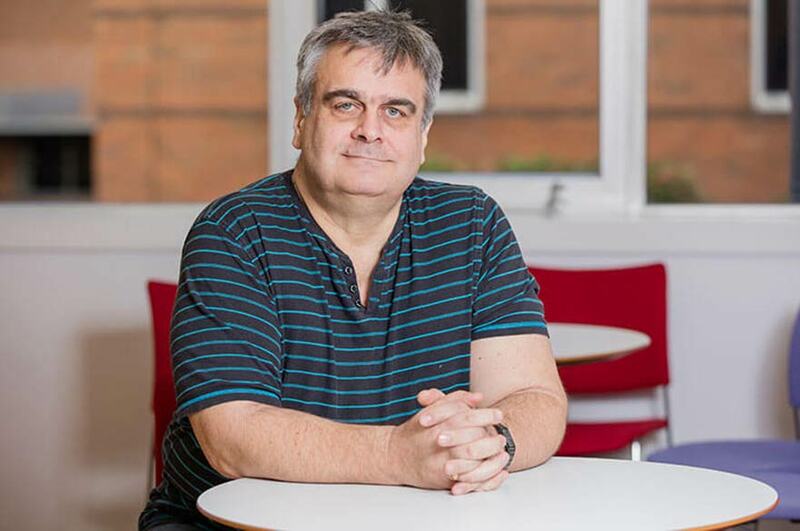 The research in wireless and mobile networking is also having an impact on EU-funded research by a different team at NTU into application development for mobile devices for disabled people. This research was made possible by using the peer-to-peer and client server wireless communication algorithms and approaches developed by Dr Peytchev’s team. Nottingham City Council’s traffic safety manager – evidence of long-standing partnership with the research group, testimony for the deployment of the results of the group’s research in Nottingham and of the deployment of the wireless technology in Nottingham traffic control, 1995-2013. Coventry City Council’s traffic control centre manager – evidence of the deployment of the wireless technology in the Coventry Traffic Control process, 2012-13. Chief scientists, Technolution, the Netherlands – corroborating the impact of NTU’s wireless research and car-to-car communication algorithms in enhancing the EU’s standing in intelligent transportation systems development, 2008-13. The Data Enrichment Group at Transport & Mobility Leuven, European partner in the MODUM project – evidence of the influence of the wireless research as an essential strand for research within the EU funded MODUM project, 2011-14. Manager of Sofia Mobility Centre – evidence of long-standing partnership with the research group and testimony deploying its results in Sofia, Bulgaria and deploying the wireless technology in Sofia’s traffic control process 1990-2013. Triptimes website developed by utilising the NTU research on journey planning software and SMS messages – evidence of the research having a commercial application. Website showing live traffic cameras in Nottingham – based on research at NTU and demonstrating the commercial application of the research. Journal article, Traffimatics – evidence of the quality of the UK-wide research winning funding after a peer-reviewed process. A £5 million grant for MODUM – evidence of the Europe-wide quality of the research. Only the top 5% of proposals in the category won funding for 2011-2014. Li, Y., Papanastasiou, S., Akhlaghinia, J. and Peytchev, E. 2013. TMDA: A broadcast-based message delivery algorithm for VANETs. International Journal on Advances in Telecommunications, 6 (1, 2). 34-44. Agafonov, E., Bargiela, A., Burke, E. and Peytchev, E. 2009. Mathematical justification of a heuristic for statistical correlation of real-life time series. European Journal of Operational Research, 198, (1). 275-286. Charissis, V., Papanastasiou, S., Chan, W. and Peytchev, E. 2013. Evolution of a full-windshield HUD designed for current VANET communication standards. Proceedings of the 16th International IEEE Annual Conference on Intelligent Transportation Systems, The Hague, the Netherlands, October 6-9, 2013. 1637 – 1643. Risan, Ø. and Peytchev, E. 2010. A vehicle-to-vehicle communication protocol for collaborative identification of urban traffic conditions. Springer Lecture Notes Of The Institute For Computer Sciences, Social Informatics And Telecommunications Engineering, 1. 482-494. Bilchev, G., Marston, D., Hristov, N., Peytchev, E., Wall, N. 2004. Traffimatics – intelligent co-operative vehicle highway systems. BT Technology Journal, 22 (3), 73-83. Tomas, M., Peytchev, E and Al-Dabass, D. 2004. Auto-sensing and distribution of traffic information in vehicular ad hoc networks. International Journal of Simulation, 5 (3), 59-63.